Part of the power of this book, for me, was that it deals with the aftermath of awful events. It is about carrying on and coping and learning to live rather than just exist. Eleanor is not simply a victim and the horrors of her life are not there for shock or scandal- for her they are simply the facts of life. The story is not what has happened but how Eleanor survives. And Eleanor is not portrayed as an angel or flawless. You do begin to understand a lot of her reactions but there is no attempt to excuse her, which I think is important. A lot of media reporting about traumatic situations divides everyone into good and bad and forgets we are all human. The book also underlines how big an influence childhood experiences can have, well into adulthood. 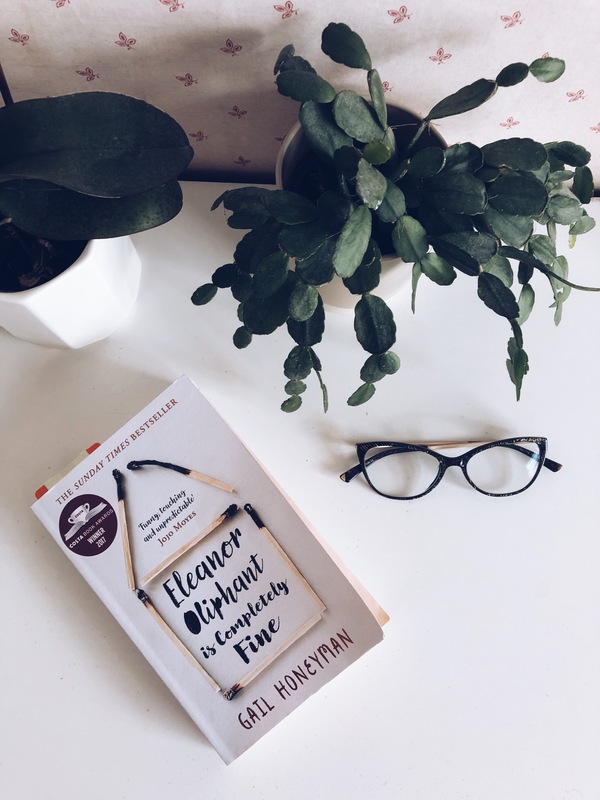 Honeyman is honest about there being no quick fixes for what Eleanor is dealing with and how awkward the process of getting support can be. I particularly liked her highlighting the weird feeling of pouring your heart out to a stranger and then having to walk home and function until the same time next week! A big theme of the book is people looking out for each other; a son visiting his mother, a boss giving an employee the time they need, someone giving a complete stranger first aid. With all these positive examples next to the ‘abnormal’ (read horrific) relationships that Eleanor had experienced, it meant so much that Honeyman chose to hold off on making this a love story. The book left off at a point where Eleanor was a strong individual with friends which feels such a powerful narrative (and goal) compared to ‘and then a man turned up and saved her’. I loved this book with it’s wry humour and raw awkwardness and watching Eleanor learn to love herself and trust other people (and cats). A big part of that might be influenced by my own dealings with PTSD but then again, that experience made me greatful that someone is talking about what living with trauma is like and just how much other people’s kindness can help.